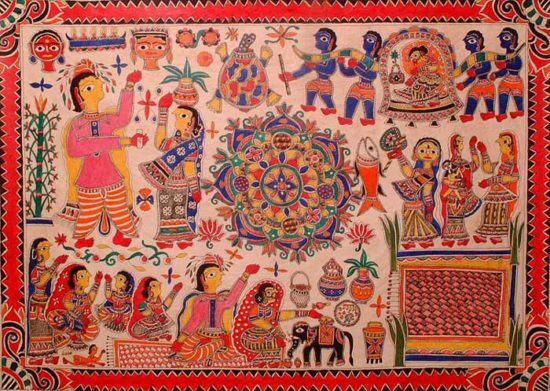 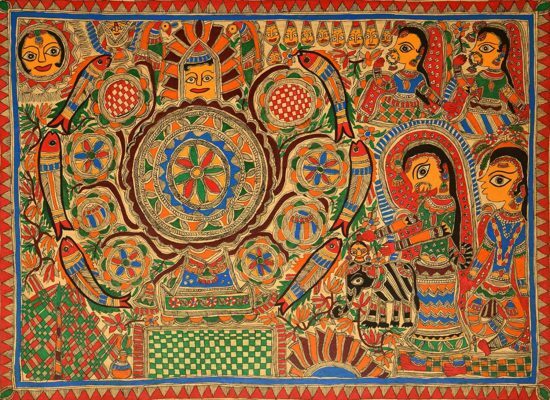 Kohbar Painting or simply Kohbar is auspicious marriage diagram, a traditional Madhubani painting design made by women from Madhubani and Mithila region on the occasion of wedding. 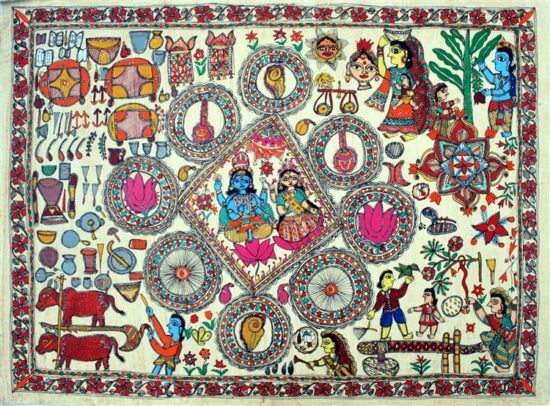 In Mithila region, a room which is used to perform ritual activities is termed as Kohbar and the painting painted on the wall is termed as Kohbar. 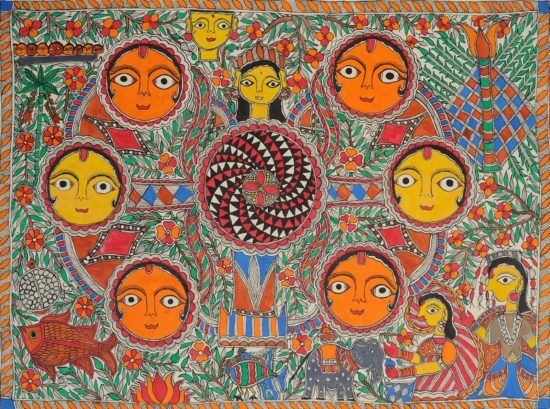 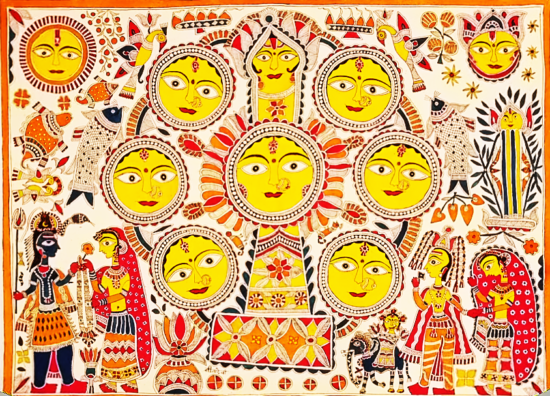 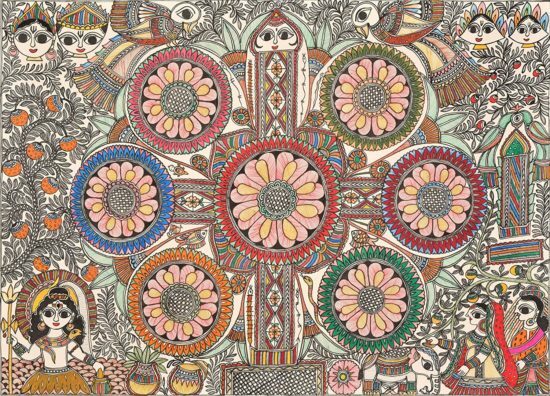 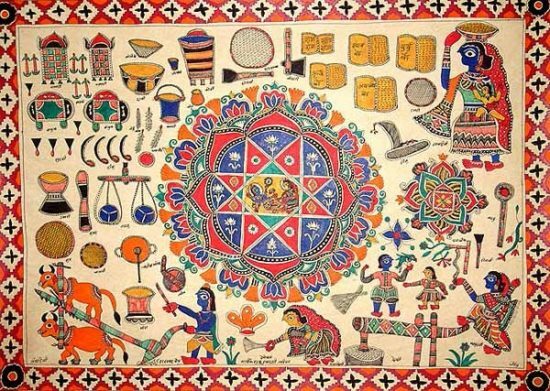 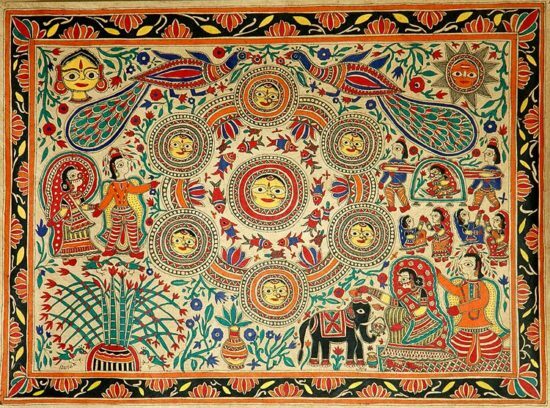 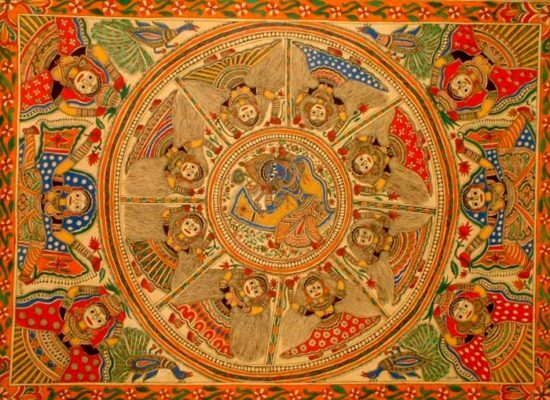 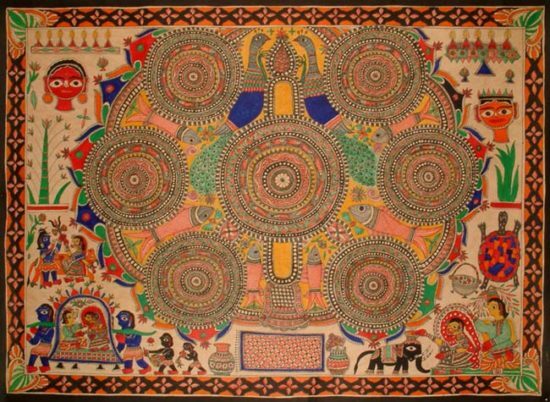 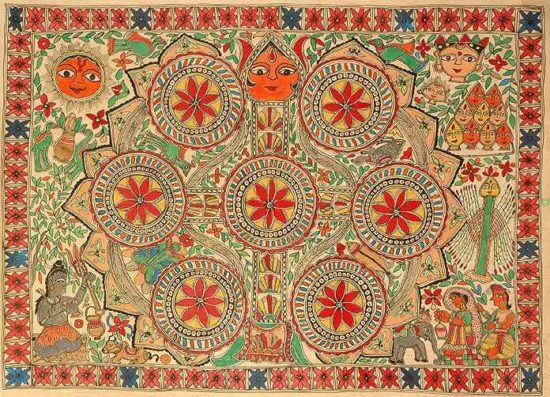 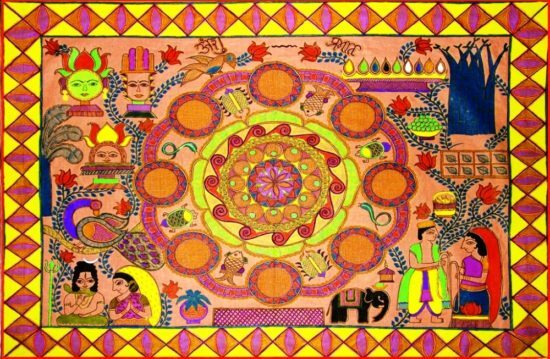 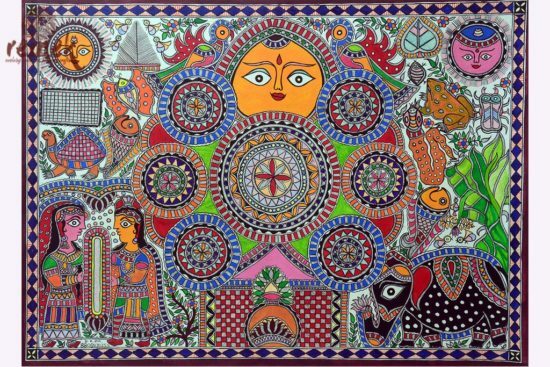 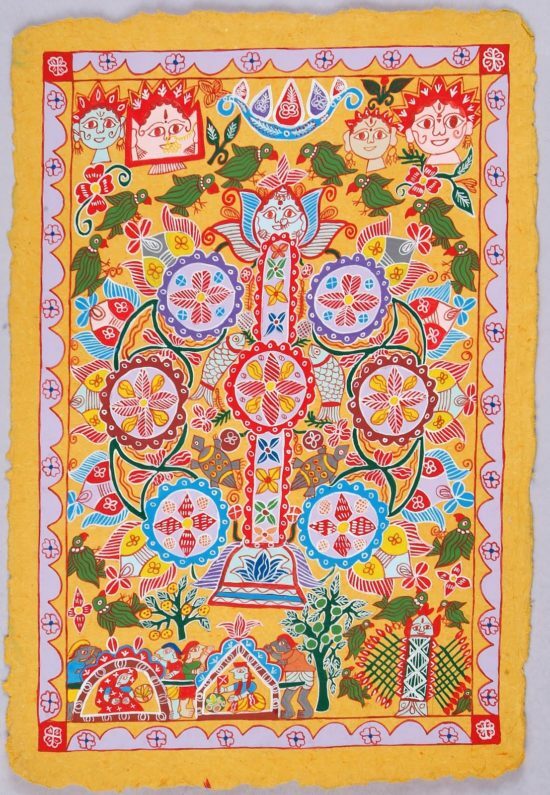 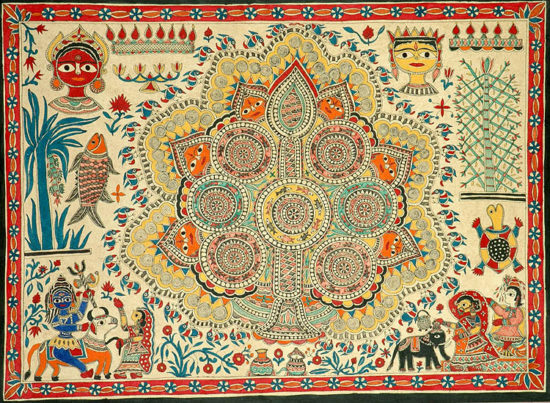 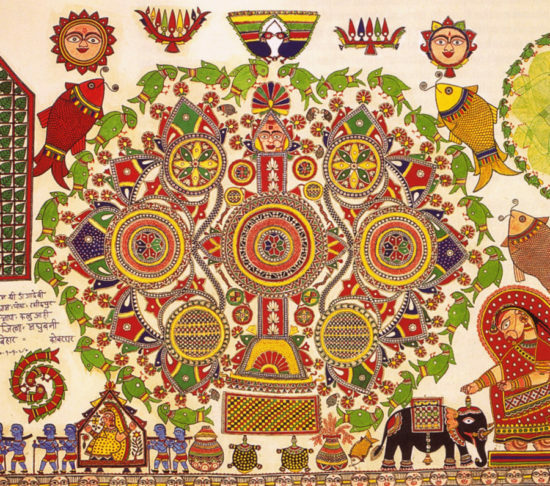 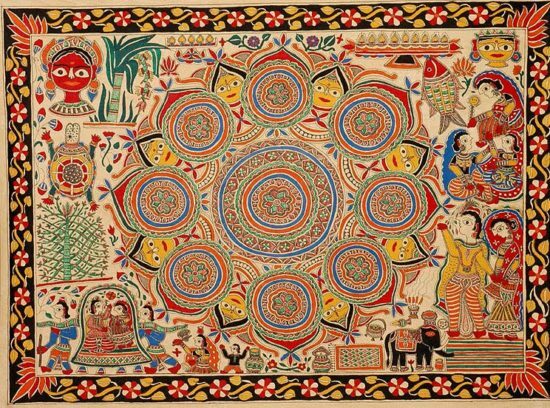 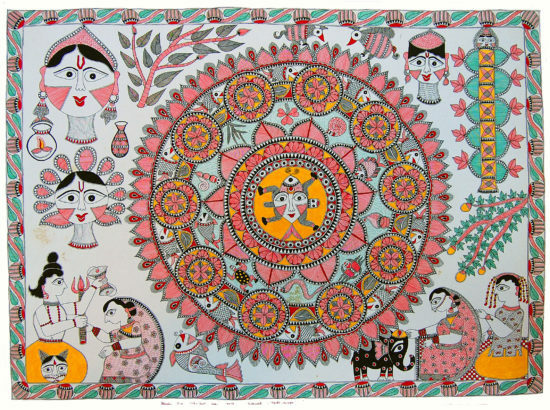 More info here: About Madhubani Marriage Mandala Art.